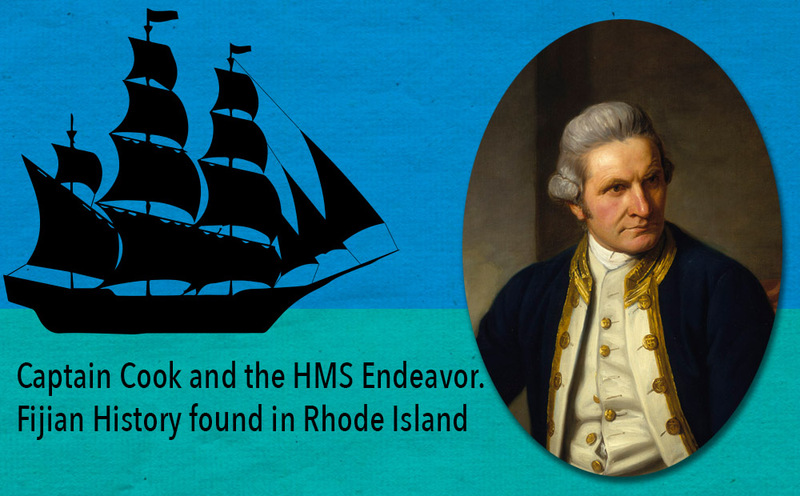 Many of you may remember from school the stories of Captain James Cook and the HMS Endeavor. 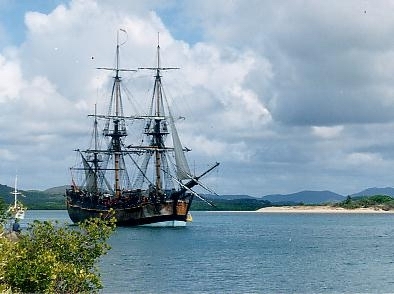 Captain Cook sailed from England on the Endeavor in 1768. He first arrived in Tahiti in 1769, and then sailed out to circumnavigate New Zealand. After which, he became the first European to visit the Eastern coast of Australia in 1770. In 1772, Captain Cook headed out on his second voyage to the South Seas of the Pacific Ocean. During this second Journey, aboard the HMS Resolution, Captain James Cook landed in Fiji in 1774. Captain James Cook coined the name Fiji. Fijians had called their islands “Viti”, but the people of Tonga called Fiji “Fisi”. Captain Cook amalgamated the two and used the term “Fiji” for the islands..
After Captain Cook’s first voyage, his ship, the HMS Endeavor, was sold off. The ship passed through many hands, and was eventually renamed the “Lord Sandwich”. Some might say that the HMS Endeavour was doomed right there. For everyone knows the superstition that you shouldn’t change the name of a boat that has already been christened. However, the earliest record I can find of that superstition is in the book Treasure Island that was written 100 years later in 1881. The Lord Sandwich was conscripted into the Royal Navy to help squash a certain rebellion in the American Colonies. It was first used as a troop transport to bring British, and Hessian soldiers to the new world, then the Lord Sandwich was used as a prison ship, and before the Battle of Rhode Island in 1778, the Lord Sandwich (along with 12 other ships) was intentionally sunk to create a blockade to keep out the French Navy. Ironically, Captain Cook himself was on the other side of the continent at this time as he had recently passed through the Bering Straits and into the Artic Circle on his third expedition. 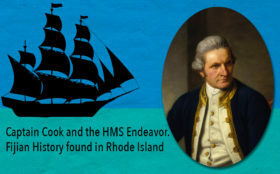 A few months after the former HMS Endeavour was sunk in Rhode Island, Captain Cook would be killed in a confrontation in Hawaii. These days, getting to Fiji doesn’t require spending years sailing the South Pacific. You can get to Fiji by airplane in less then a day in most cases. Exploring the many islands of Fiji doesn’t even require you to spends days or even hours in a boat. Seaplanes, like the ones flown by Turtle Airways, can take you to the beach of any island you choose. So celebrate the adventurous spirit of expedition embodied by people like Captain James Cook, and visit Fiji yourself. Explore the outer islands of the Yasawa Island Chain and the Mamanuca Islands. Come to Fiji, live an adventure.